This post is sponsored by General Mills. 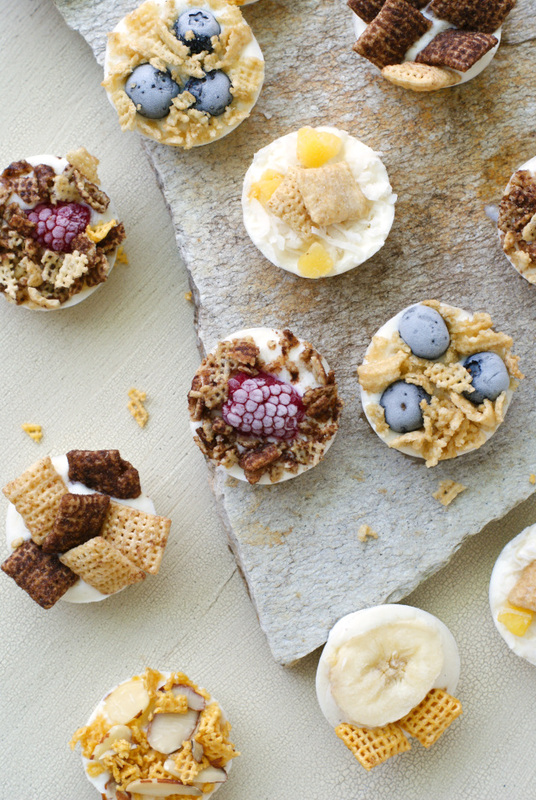 These Frozen Fruit and Cereal Bites are a gluten free treat that is perfect for summer, made with whole milk Greek yogurt, fresh fruit, and a sprinkling of crushed Gluten-Free Chex™ cereal. I have a feeling that this is going to be the very best summer ever. I may have said that once or twice before in my life, but this time I really mean it. Like, there is now way that this is not going to be an epic summer to go down in the Tarala family history books. How am I so sure? Well, first of all, we have a new house. With a pool. A very, very large screened in pool. Florida + pool = endless hours of guaranteed summertime fun. Second, I've been generally more active over the past six months and I just happen to have lost 30+ pounds as a result. That means that I'm feeling better in my skin and I have oodles more energy to keep up with the kids in that big ole pool. I generally just feel good, which is a great way to be. Lastly, now that school is out and summer has officially begun for us, the kids and I will have plenty of time to get in the kitchen to make all kinds of creative healthy recipes to help fuel all of our summertime activities. By making smart choices like eating smaller, more frequent meals and increasing fruits and veggies, we not only will start the summer healthy and happy but hopefully end the summer even healthier and happier than we started! 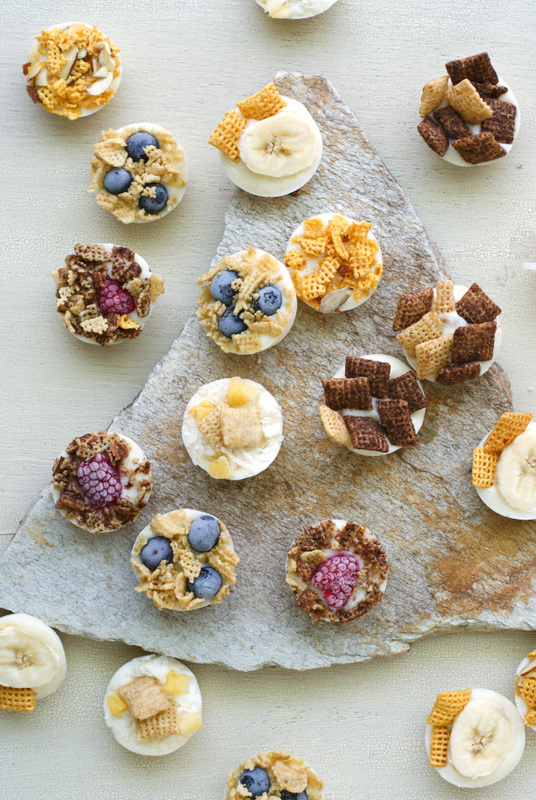 My kids love to begin the day with cereal, so my first creative recipe of the summer was to incorporate some of their favorite cereals into a summer-inspired treat. I decided to use some General Mills gluten-free cereal as a topper for yogurt and fruit. 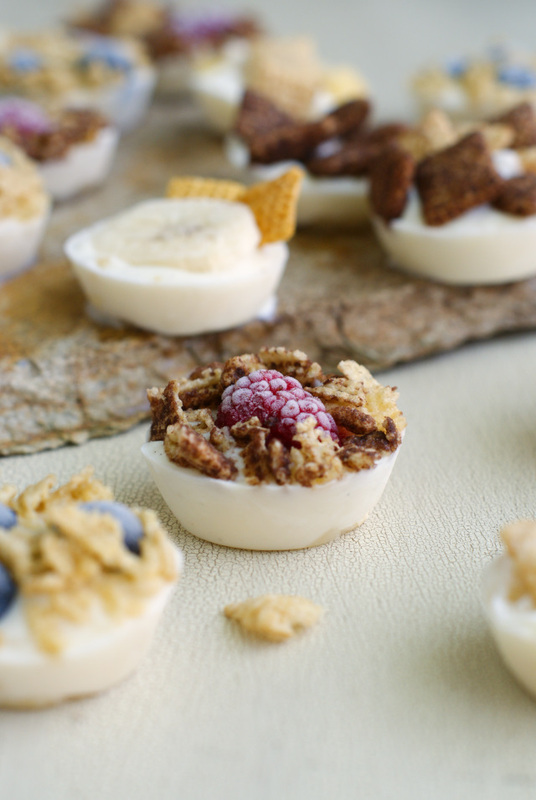 But not just served up parfait-style, these little babies are frozen! You know what that means, right? They are perfect for our tropical Florida weather! 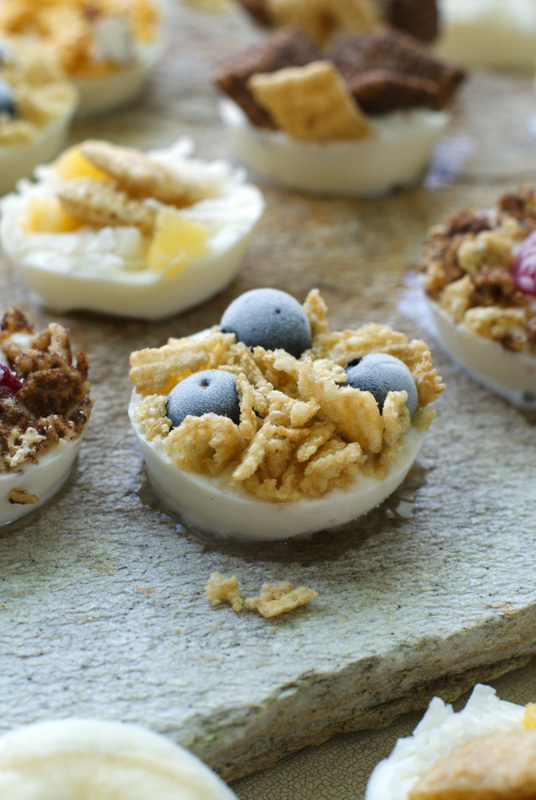 These will make a great breakfast, snack, or even dessert! I picked up the cereal at my neighborhood Publix. I actually picked up four boxes and I can't wait to try the new Gluten Free Chocolate Cheerios and Lucky Charms! If you live a gluten-free lifestyle, it's good to know that there are more delicious wholesome options than ever before. We absolutely loved these frozen little bites and I can't wait to make them again. They are a lot of fun for the kids to customize with the fruit, yogurt, and cereal of their choice and I love that they are perfect for portion control. Remember, portion control is one of those things that helped my lose that 30 lbs! Which gluten-free cereal would you sprinkle on your fruit and cereal bites? Let me know which you'd like to try in the comments below! 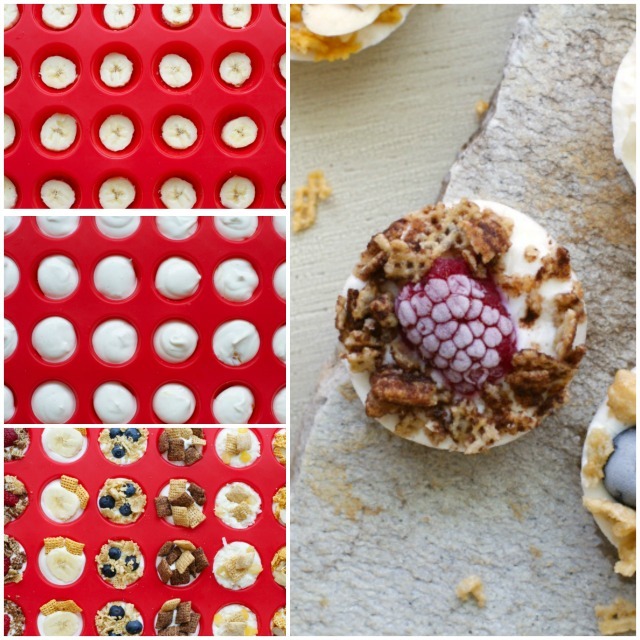 Place one slice of banana into the bottom of cups of a silicone mini-muffin pan. Top banana slices with a spoonful of Greek yogurt. Garnish with fruit and crushed cereal. Freeze for 1-2 hours or until frozen solid. Serve frozen. 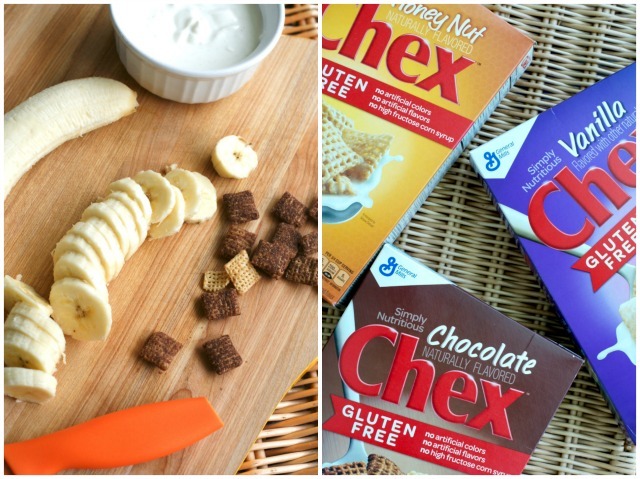 Join the conversation on social media by using hashtag #GlutenFreeCereal and share your gluten free cereal creations! These look good. I would use Honey Nut Cheerios. These look great, what a very clever idea!! Love it! !